Many of you who know me are aware that one of the charities that I work for is Remember My Baby. 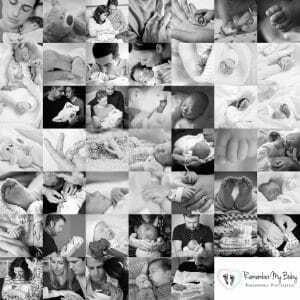 The charity provides remembrance photography for families who have suffered a loss shortly before or after birth. The Charity celebrates its 4th birthday today. So far a total of 2350 sessions have been carried out by our volunteers. I’ve now been a volunteer for 3 years after being “encouraged” shall we say for a year prior to that. I have to say that it’s one of the best choices that I have made. I now co-ordinate the West Midlands Region volunteers and am the liaison with the local hospitals. After my previous work experiences, it is wonderful for me to be able to help people without having to meet tick box targets. The families that we help are amazing and their gratitude to us for such a simple thing as providing them with special photographic memories is an overwhelmingly emotional thing. I have worked with over 60 families now, some, I know have gone on to have rainbow babies that they never thought would happen. I’m often asked, why do you do it? How could I not? The families I work with have suffered probably the cruelest loss. Giving up a small amount of time to work with them to create memories of their little one is not a big ask. The joy I see in many faces when I show them the back of the camera is priceless. Photographers will understand where I am coming from when I describe the camera as your shield from the emotion of the visit. Life through a lens is an expression that has been used by photojournalists in the past and is appropriate in this situation. We create a lifetime’s worth of memories in a short time. Our most precious resource is people. Do you know a professional or semi-professional photographer who might be able to work with us? Our team in the North East is particularly short of people who can provide cover at the hospitals there. The more people that we can recruit, the less pressure on the whole team. We do not like to turn down any request for service. On my own team, it is a case of “Failure is Not An Option”. So please share these few words around and help us to provide this amazing service to more families who have a gap in their family through no fault of their own.